The autumn term has started in fine form as we welcome both new and returning "Exeter panthers" back into the boarding house after a two month summer holiday. As the new Houseparent of Exeter, I have been absolutely thrilled to be a part of this exciting moment in the school calendar, as students shake off their summer sleepiness and adjust into the school routine. We are delighted to welcome 22 new girls into the house from 14 different countries, which makes up our home of 23 different nationalities. 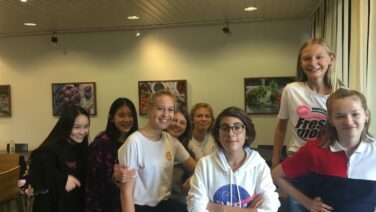 We start the new school year at full capacity with 48 boarders and 5 day students, who together with myself as houseparent, Miss Kristina Karnilaviciute as Assistant Houseparent, and Mrs Jeskanen our Aide de Maison, make up the new Exeter house team for this year; as well as Dusty the cat who has settled well into her new home! 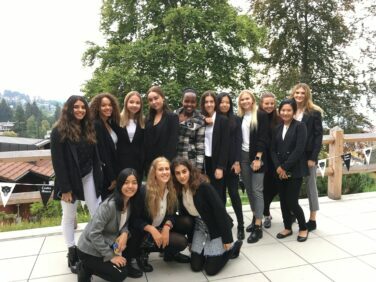 The year 12 girls have been introduced to the academic rigours of the IB and celebrated the start of this journey with a formal dinner with the rest of their year group over the first weekend. 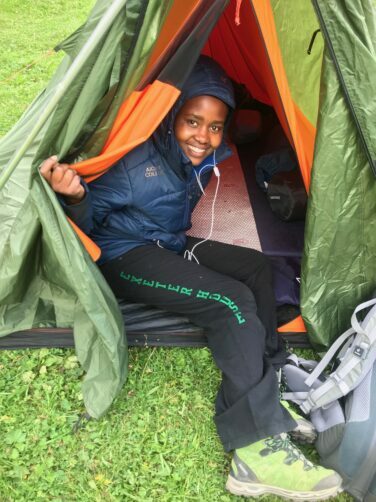 They then enjoyed their first expedition camping at Solalex, experiencing Aiglon magic for the first time in the form of team building activities, singing around the campfire, toasting marshmallows and sleeping under the stars. This weekend the new girls in Years 9, 10 and 11 will all acclimatise themselves to our mountains on year group expeditions; which they are very much looking forward to. In house, sisterly friendships are already forming between our girls. Through living together we become extended family, and it is an honour to work with such an impressive group of young women. I am incredibly excited to take on this role and anticipate many great things in the year to come.